The Callinan Report is a carefully measured and magisterially argued consideration of the effects of densely-clustered and late trading alcohol venues on local communities. It deserves to be read by all Australians concerned about public policy, health, and welfare. As a city it is vital we think very carefully about how we define late-night vibrancy. We should never go back to the way things were before February 2014. Sydney has to be better than that. The majority of us in Kings Cross who fought to stop the rivers of grog are long-term residents. From 2007, we lost our bohemian and diverse mecca of cafes, cabarets, and, yes, some strip clubs when dodgy nightclubs, booze barns, convenience stores and fast food outlets took over. Alcohol Inc. is a major cartel in our hood. Some mornings, as Professor Gordian Fulde said in the report, the St Vincent’s Emergency Department was “like a military battle field” with “people bleeding, vomiting and unable to control bladders”. On weekends our streets were like a warzone, where we were stepping over bodies and vomit. We knew it didn’t have to be that way because there was a time when it wasn’t. The answer was always there in a mountain of eminent reports and the successful Newcastle model: reduce the number of venues selling alcohol, limit the hours during which they can sell it, and add resources to ensure compliance with license and management conditions. They didn’t act and Thomas Kelly and Daniel Christie were bashed to death. A miracle happened for us on Sunday 24 February 24 2014, with the introduction of the lockout and last drinks laws. The streets at 6am were vomit and body free. We were liberated. Since then anti-lockout activists have vilified residents, doctors, nurses, and police. Their lie is that unlimited booze is necessary for business viability. 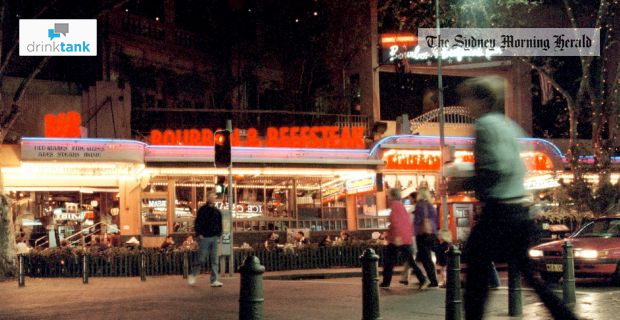 Yet only a few years before the lockouts came in, alcohol-fuelled violence and the density of nightclubs in Sydney’s drinking precincts were cited as key reasons for the closure of a number of well-regarded restaurants. Excessive booze can be bad for business. Callinan notes that the number of closures has been exaggerated and that of the 30 examples cited over half could be explained for other reasons. The alcohol industry willfully failed to adapt its business model in order to continue to make excessive profits. Callinan asks what ‘vibrancy’ is and notes that vibrancy belongs inside venues, not out on the footpaths and streets. Residents, many of whom are musicians, performers and artists, support live music where this is defined as a performance where the performers are present. We still have good live music at these venues: El Rocco (nightly), Old Growler (Fridays), World Bar (three nights), Kings Cross Hotel (two nights), Alaska Projects (experimental – artist / musicians), Panhandle Bar (Saturdays), Tatler bar (one night), and Bourbon (one night). Council could play a role with a live musicians’ fund for these existing venues and by providing sound-proofed venues for bands as they do for theatre productions. It is worth remembering that more than 70 new businesses, including restaurants and bars, have opened in Kings Cross since late February 2014. The reduction in alcohol availability has led to a welcome diversification of the business mix across the area, mirroring the positive experience in Newcastle. 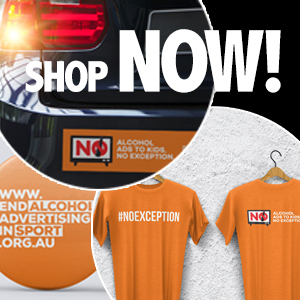 This report shows that Australia has a problem with alcohol-related harm and violence driven by intoxication. Justice Callinan frequently stresses that his terms of reference did not include domestic violence. Campaigns by the Australian Medical Association and Counting Dead Women make it clear that a companion report is urgently needed and these sensible and reasonable measures need to be rolled out across the whole state. This post was first published in The Sydney Morning Herald as Lock out laws: What Kings Cross residents think. True, on a net basis the Alcohol Industriy is a massive job killer. A few unsustainable and low profile jobs at their end needs to be balanced against thousands of jobs lost in other job categories. More and more shops and restaurants have to close down because former decent areas became vomit stained zones and insault ridden criminal places around booze venues. Thanks for this article.